Arrived in Wiltshire in time for a photo opportunity stroll around this charming little village. Followed by dinner in one of the two pubs. A nice way to end a day. Love the street framed by those wonderful homes and shops. This is how I think England looks! It is idyllic! Fav. Oh, this is just so quaint and beautiful. Such a quaint little village - it does have that old time look to it. This could be a scene taken 300 years ago if it weren't for the black top on the road. Lovely shot! Looks like a charming little village! It is certainly a lovely village. 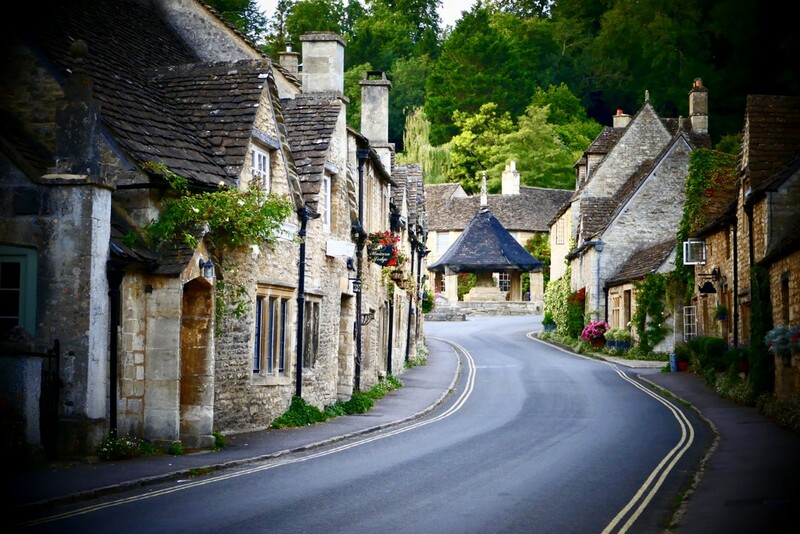 Beautiful - we are heading to the Cotswolds next week and can't wait! Not been to the lovely villages yet so my camera trigger finger is a-quivering in anticipation! Cute village and lucky that there is no room for cars to park ..
Lovely village and graet shot. @louannwarren thank you. Think you would be quite disappointed Lou Ann, there are some places like this, but mostly not! I'm not saying there aren't many nice places to see, but the majority are " modern " & not so pleasing. @gardenfolk thank you & maybe one day? @rjb71 it's nice that the street is car free, we parked up the hill just outside the village. @farmreporter it does take you back doesn't it & I suppose they have to have some mod cons. @phil_sandford thank you for taking me! @brennieb possibly more busy during the day, worth a visit if in the area. @lyndamcg you will love it! This really is a lovely place.